This coal preparation plant is part of the Beringen mining site, a large former coal mine in the province of Limburg. This coal mine is an important example of the large-scale developments in coal extraction that took place in Europe and the rest of the world in the 20th century. With its equipment, this is the only such plant preserved on a European and even on a global scale. The building of this large coal preparation plant started in 1923-1924 (coal washery 1) and was later enlarged (coal washeries 2, 3 and 4). The four components together form one massive iron, steel, brick and glass building. The Beringen mine and the four components of the building were protected as an Historic Monument in 1993 – 1994 by the Flemish Government. In 2003, an industrial archaeological study was performed on the whole coal mine, including the coal preparation plant. This study concluded that the safeguarding of the plant would be expensive, but that the building was indispensable to the understanding and interpretation of the industrial scale of mining in Europe. 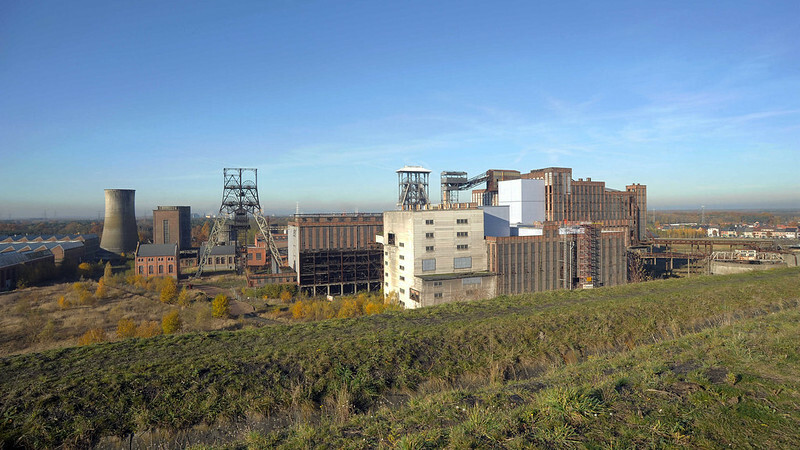 In 2009, the re-use of the mine was assigned to PPP Company BE-Mine, with its main partner, LRM – the Limburg Reconversion and Investment Company, and a number of construction and real estate companies. They concluded that the conservation of the complete coal preparation plant was not possible and – without a thorough study of the building’s history – decided on the imminent demolition of coal washeries 1 and 3. The reasoning behind this decision is due to the so-called excessive cost of restoration and the alleged limited re-use possibilities of the coal washing and sifting plants. On the grounds of the coal washery 1, a carpark will be located. For coal washery 1, a demolition permit was requested before the summer of 2017 by the PPP Company BE-Mine. It is predicted that once this coal washery is torn down, the procedure to demolish coal washery 3 will be initiated. However, although there seems to be political agreement on the demolition, the legal protection of the building hasn’t yet been lifted and apparently the demolition request does not take this into consideration. In mid-October the demolition permit was refused by the City Council of Beringen due to the heritage value of the building and its protected status. However, the company submitted an appeal to the provincial government, which will now study the case and make a decision before 1 March 2018. The company’s plans for development suggest keeping just one of the four buildings. This neglects to acknowledge the importance of the integrity of the building. In this way, the demolition of the first component could set a dangerous precedent for further destruction of the building, leading to the incremental loss of the entire site. The nomination for the 7 Most Endangered programme 2018 was made by the Flemish Association for Industrial Archaeology.